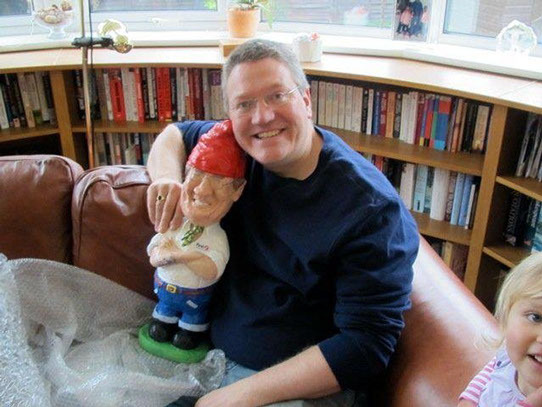 Kim Leachman was once resident cartoonist and illustrator with the Bournemouth Echo and Powerboat and Waterskiing Magazine in London, but now working at The Gnome Office, he moved on from 2D illustration, to sculpting his own unique 3D Caricature Gargoyles and Garden Gnomes for TV/Media and Private Commissions. 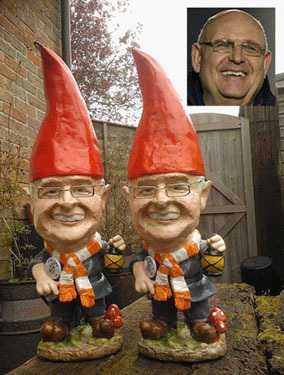 Luton Town manager has 2 identical gnomes - one for the trophy cabinet, and the other went to auction and raised £600! 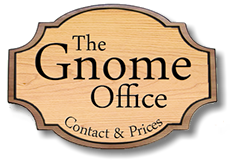 "From the initial enquiry right through to delivery Kim was superb – providing images at all stages and checking on the finer details – superb service – would highly recommend!!!" 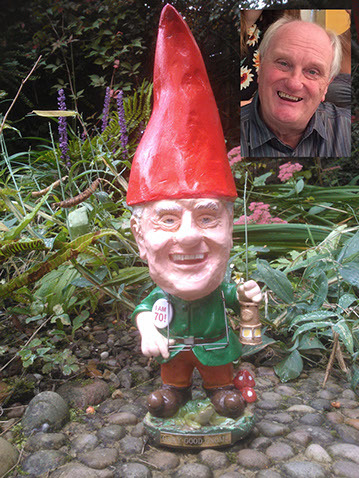 Gary Good Gnome, alias Gary Goodlad, a 70 year old retired Miner with his Miners Lamp and engraved metal inscription (both optional extras). 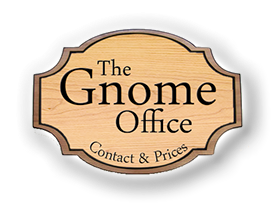 Any of the three ‘off the shelf’ bodies are able to be modified to enable various sports, hobbies and professions and are priced upon application! 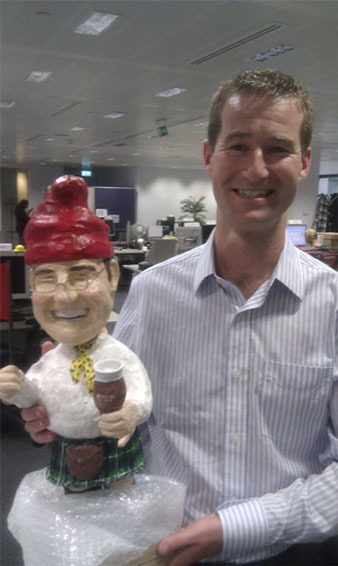 The CEO of Rightmove delighted with his delivery! 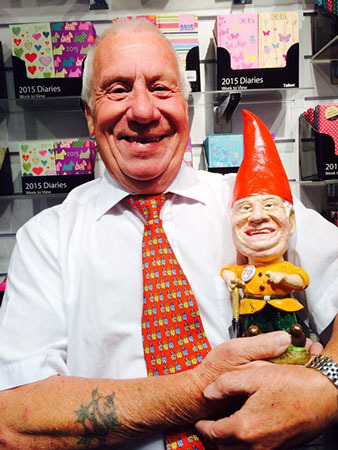 – The Mayor & Mayoress of Bournemouth! 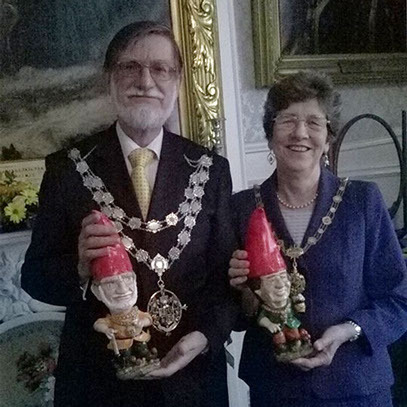 The Mayor and Mayoress of Bournemouth with their gnomes! Anniversary couple complete with doggy too! 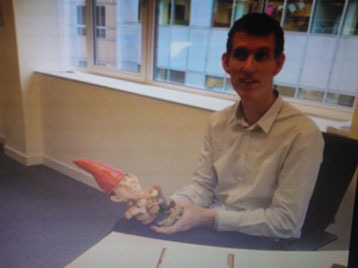 Business Gnome - Iceland boss! 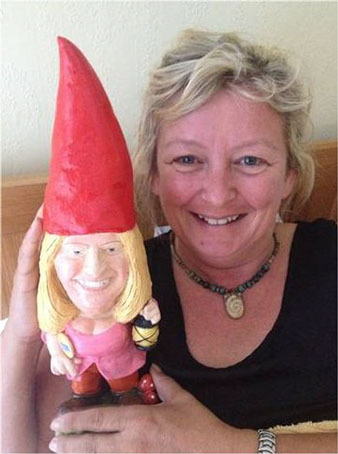 15 Inch Grumpy Aussie Gnome! 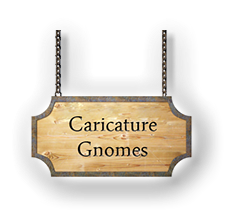 3 gnome bodies awaiting their newly created heads! 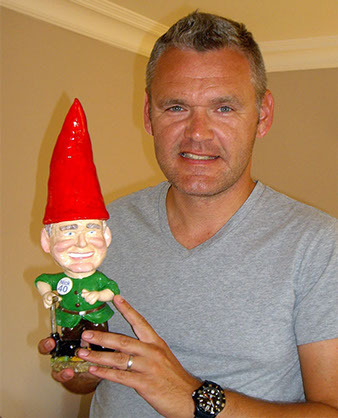 ex Miner Gary complete with Miners lamp!